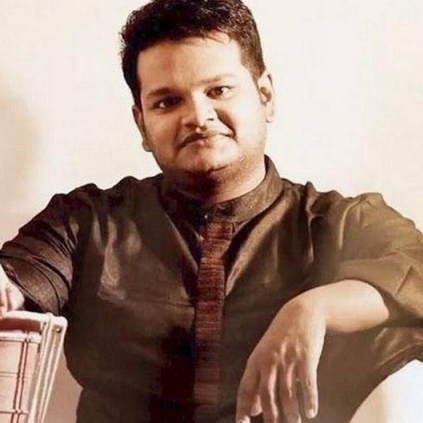 "I AM THANKFUL TO GOD FOR MAKING ME A PART OF THIS GREAT FILM"
Music director Ghibran has been riding on a high for quite some time now and he has been producing some classy albums and entertaining the listeners. His recent release, Magalir Mattum had received a lot of positive reviews for the background score and he is currently awaiting the release of Nayanthara's Aramm in which he has worked. He has now taken to his Facebook account to share his happiness about the success of Magalir Mattum and his expectations on Aramm. He said, "I would personally like to Thank everyone for the kind words regarding #MagalirMattum . And last night we did the Final mix check of #Aramm and I am extremely thankful to God for making me part of this great film . Having come from and as a person who still has my roots in underdeveloped India, this film has a lot for me to relate . It speaks about something which needed to be heard and I believe it will do it’s purpose , once it hits the Big screen. Thanks to my whole team : Writer/Director #GopiNainar , Producer Rajesh , Omprakash , Ruben, Peter Hein , Soundar , All the technicians and mainly #Nayanthara for giving life to the film. This is one more more film for me which gives the satisfaction and fulfillment even before hitting the theatres"
We wish Ghibran all the best for Aramm. Popular independent musician and singer Teejay, who is known for the famous number Muttu Muttu, made his foray into feature films as a singer through the film, Sawaari, which had music by Vishal Chandrasekar. Now, the much-loved singer would be singing in Nayanthara starrer, Imaikkaa Nodigal, directed by Ajay Gnanamuthu. The film has music by Hiphop Tamizha Adhi. Teejay took to Twitter to announce this news, with his tweet, "Finally I'm happy & so thankful to announce the Good news! I've joined hands with @hiphoptamizha for Indian Tamil film 'Immaikaa Nodigal"
"Ruling party warned me not to support Vijay"
Sundar C's next to clash with Suriya! A surprise from GV Prakash tomorrow! If you dont like the film, this director is ready to refund ticket and petrol money! Thalapathy tribute song is here! People looking for online information on Aramm, Ghibran, Nayanthara will find this news story useful.